Why it's better to book furniture repair service? Yes, your bedroom furniture may not look as stunning as it did a decade ago, but take a closer look before you casually drag it to the nearest dumping ground. Because in the UK alone, over 600 000 tonnes of furniture are thrown away every year. “So what?”, we hear you ask. Well, here's the thing – more than half of this oak furniture could have been easily restored with a few minor repairs! Why throw away perfectly usable possessions? The pros at Fantastic Handyman can mend deep scratches or unsightly tears on almost any kind of home & office furniture. 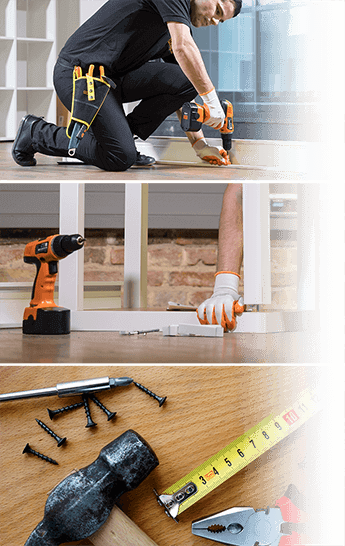 From performing furniture stripping to professional furniture scratch repair, the efficient handymen will use the latest available tools and methods in the field to repair your wood furniture in a satisfactory way. No matter if you own a futuristic-looking cabinet or an 1800s dining table, the friendly and knowledgeable handymen will always find a way to make your new modifications fit your property's design. And after each furniture repair London session, you’ll be glad to give your battered furnishing a second chance! Whether it's refinishing chairs or wooden tables, your furniture will always be completely insured for the duration of the service. Of course, each furniture fixer is committed to providing you with quality results and will make sure to handle your possessions with utmost care. Why stop at your home when you can take your refinishing wood furniture renaissance straight to your office! 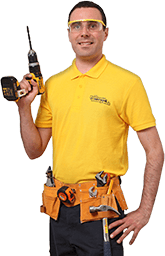 Fantastic Handyman can gladly assist you with top-notch office furniture repairs that will leave your clients nothing short of impressed (and a tad envious). Even if you've called the specialists for a simple chair repair, they will always put in the extra time and effort to do their job as quickly and carefully as possible. And if your favourite president chair has a couple of defects that you’re not particularly fond of, the pros will gladly make those disappear in a jiffy. Need to replace a few drawers or loose handles? The team will carry a wide selection of components to provide your furniture with a brand new look. The shape and appearance of these elements is entirely up to you – with this furniture repair service, there is always an opportunity to express your creative side!